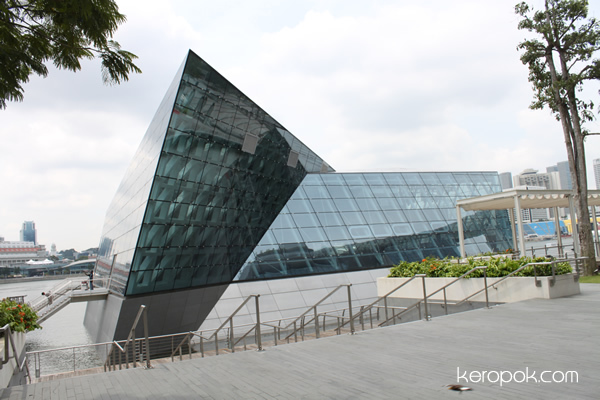 There are two floating structures or they call it Crystal Pavilions at the Marina Bay Sands complex. One crystal pavilion houses the LV Island Maison. Avalon occupies the southern crystal pavilion. The design attracts me and don't you think the buildings are 'photogenic'? I took this photo last Friday afternoon. One of these days when I am not rushing, I'll get into both buildings. Yes, they are both designed by Moshe Safdie.